The newest edition to the Super Smash Bros. roster is releasing tomorrow. The long awaited Update 3.0 for Super Smash Bros. 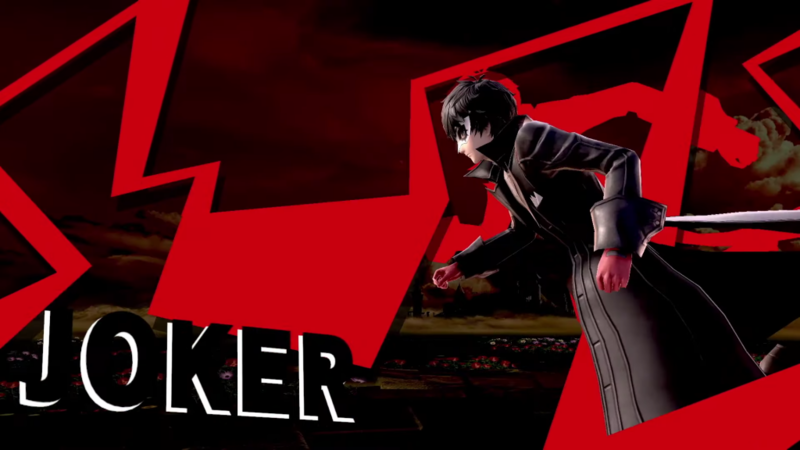 Ultimate is releasing on April 17 along with the first character from Challenger Pack One, Joker from Persona 5. The newest character to the roster has an extremely varied moveset that looks to make him a versatile addition to an already giant library. 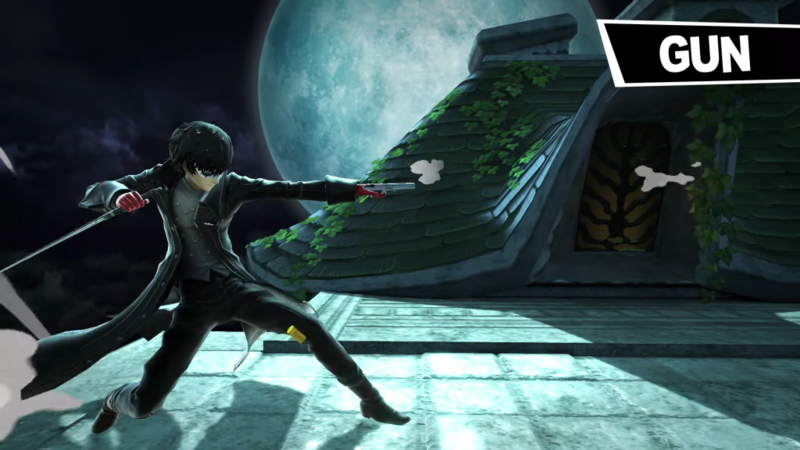 His neutral special has him wielding a simple pistol, which allows him to fire moderately fast projectiles that deal small amounts of damage. He can dodge forward, backward, and in the air while firing at various speeds, depending on the animation. 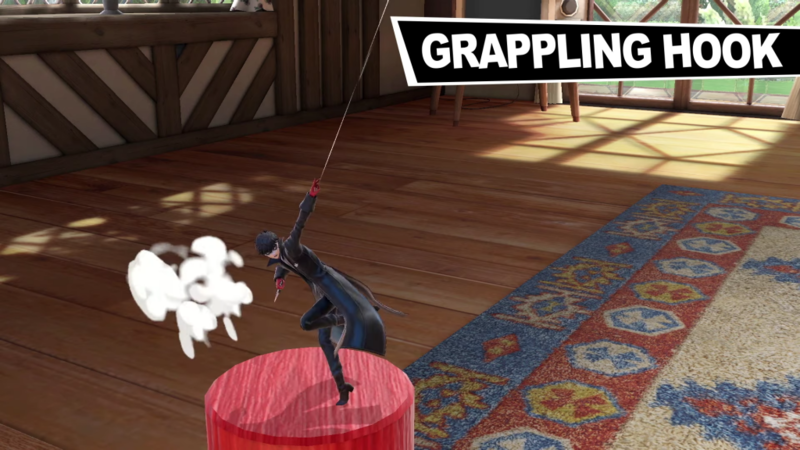 For his up special, he will fire a grappling hook at a diagonal angle that can be used to grip ledges or drag opponents closer to him. 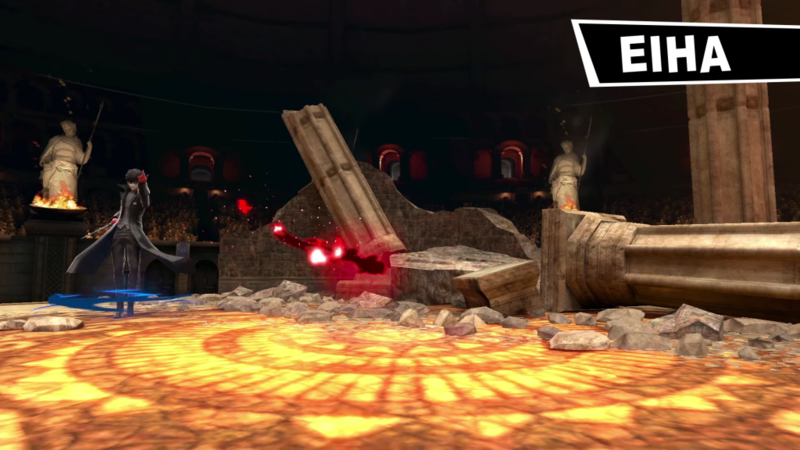 Meanwhile his side special lets him use a move known as Eiha, which shoots a small projectile that will deal small amounts of damage over time if it connects. His down special, Rebellion Guard is the move that stands out the most, however. 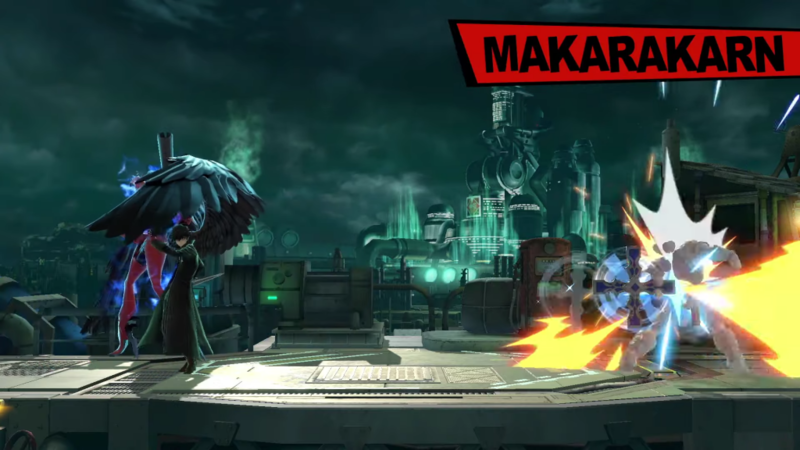 If successfully executed it will not only reduce the damage taken from the incoming attack, but it will also fill Joker’s Rebellion Gauge. It can even be held down to reduce damage from entire combo strings before knocking back opponents following the release. The Rebellion Gauge is similar to Cloud’s Limit Break in that it is filled by using the character’s down special or can fill up over time and by taking damage. 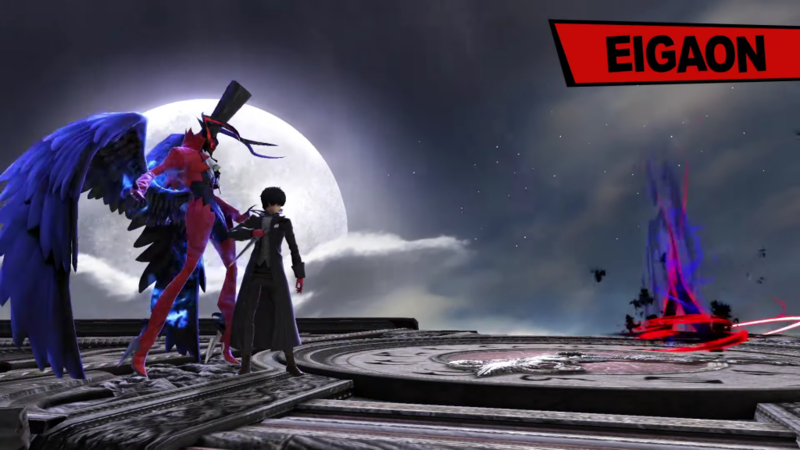 Once the gauge is full, Joker will summon his Persona, Arsene. 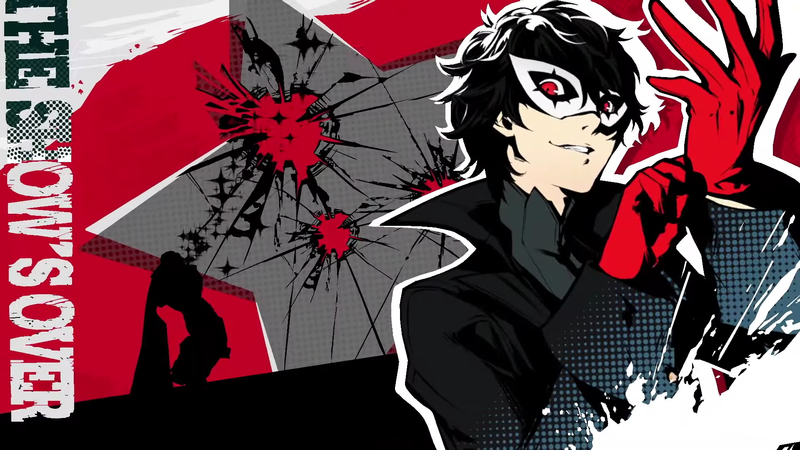 With his Persona active, Joker not only will deal more damage, but each of his special moves will also change. 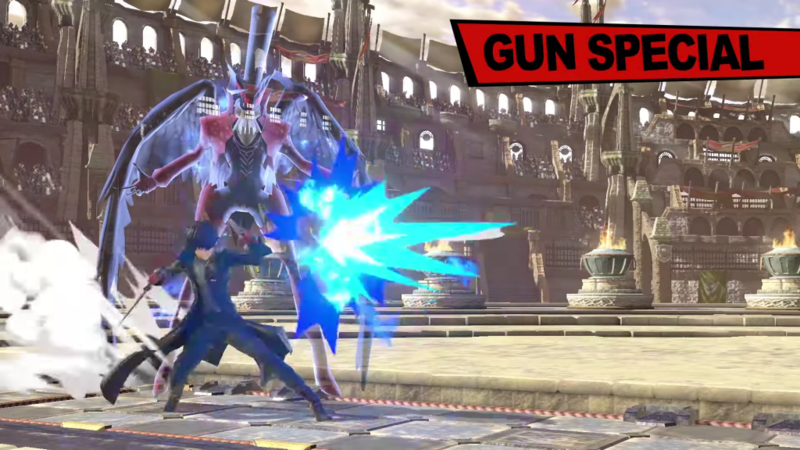 His neutral special will now shoot more bullets from his gun and his up special changes to Wings of Rebellion—giving him a recovery using wings to fly upward much like Pit. 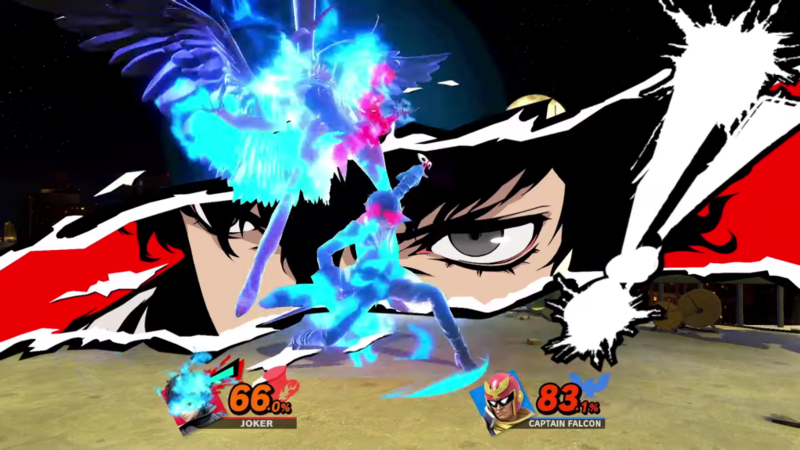 Instead of the slow damage-dealing Eiha, Joker now uses Eigaon which acts more like Ness’ PK Fire, which shoots out a multi-hit attack. The biggest change is his down special, which now acts as a different counter for both melee and ranged attacks. For melee, he activates Tetrakarn, which acts as a standard counter and for ranged attacks he can deflect them using Makarakarn. As long as he remains active, Arsene cannot be attacked either. 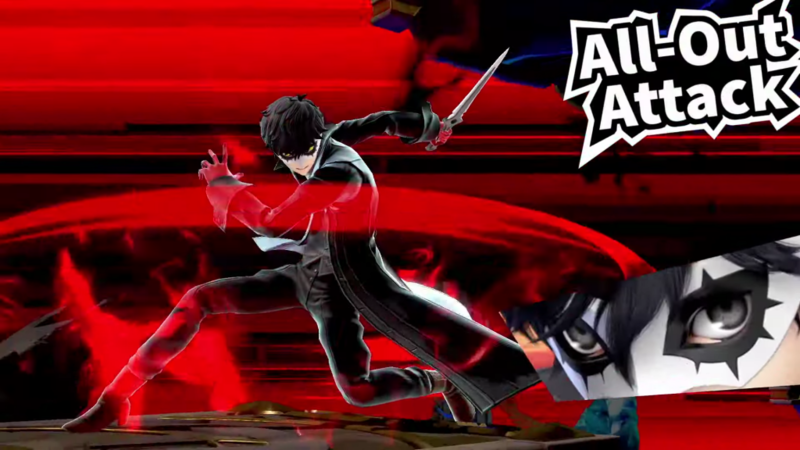 For his Final Smash, Joker performs the signature attack of the Phantom Thieves, the All-Out Attack. Unlike other Final Smashes, if a player misses the forward lunge they can quickly tap the other direction on their controller and make a second attempt. Just like with every other character in the game, Nintendo is true to the character’s source material outside of battle too. His victory screen replicates the victory screen from encounters in Persona 5, too. 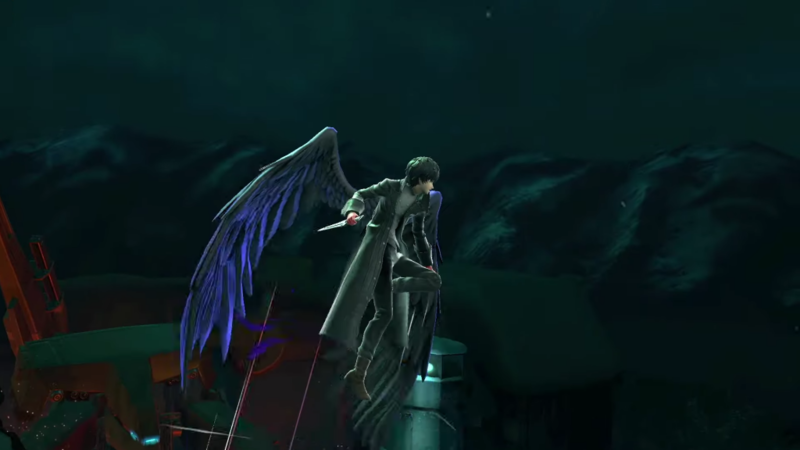 Along with a few other touches like an appearance by Morgana in one of his taunts, Joker is looking like a very polished character overall. 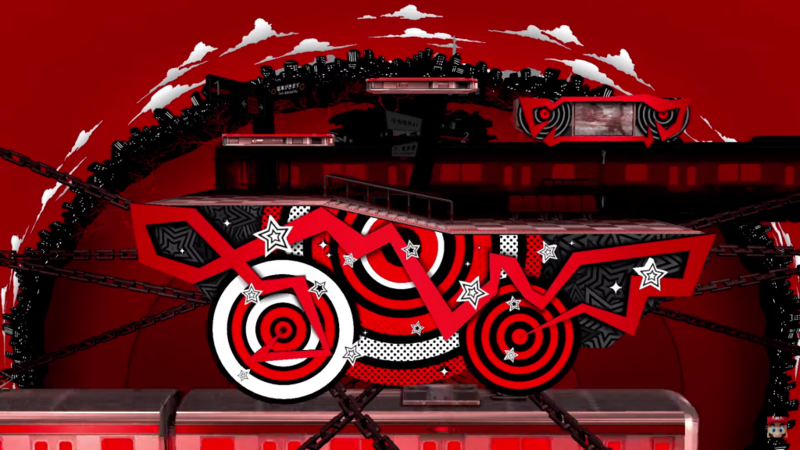 Stage Mementos is the Persona series’ representative on the stage selection screen. It features a stylish art style and several moving parts. 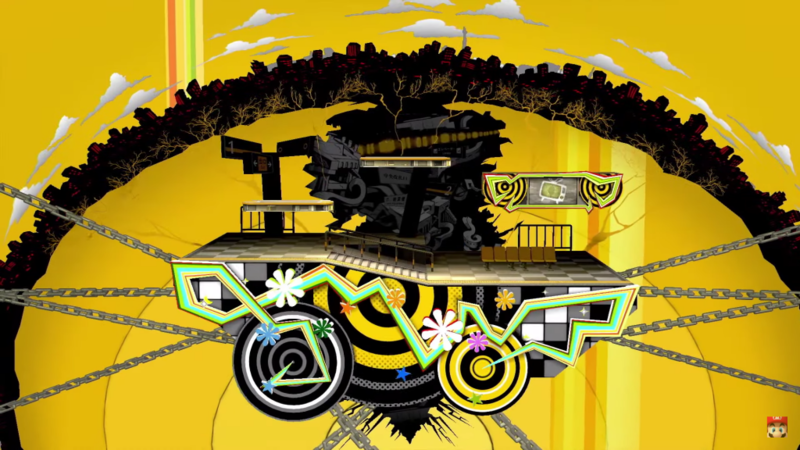 The stage also changes color depending on which song from the Persona series plays. As for the music, there are 11 total tracks from the series being added into the game. Five from Persona 5, three from Persona 4, and two from Persona 3. 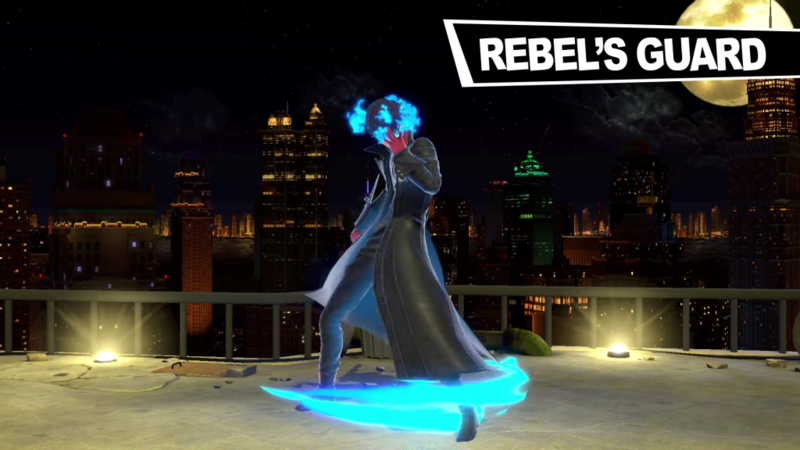 Once Joker is added to the game it will unlock another route on Classic Mode and a special DLC version of the Spirit Board that features some other characters from the Persona series. Nintendo is also releasing costumes for the Mii Fighter trio of characters based on characters from the DLC fighter’s franchises that will be available for purchase following Joker’s release. 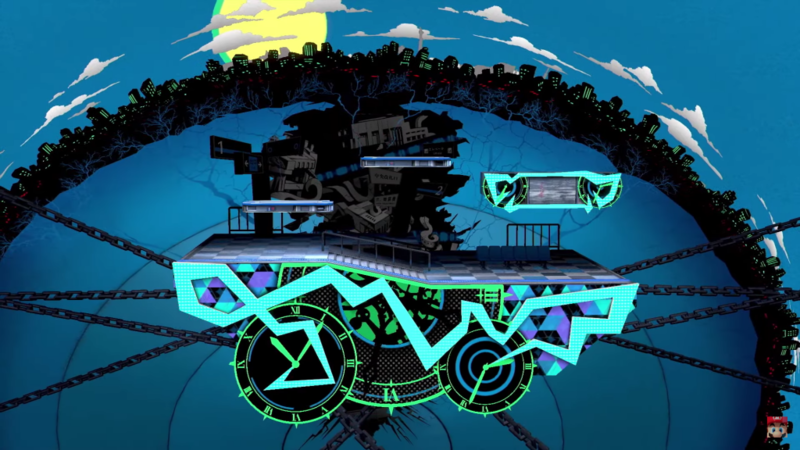 This first wave includes a Morgana hat and outfits for both the Persona 3 and 4 protagonists. Characters two through five on the Challenger Pack One are set to be both announced and released between now and February 2020.